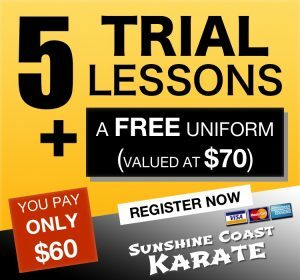 Sunshine Coast Karate – Page 2 – The home of martial arts on the Sunshine Coast. 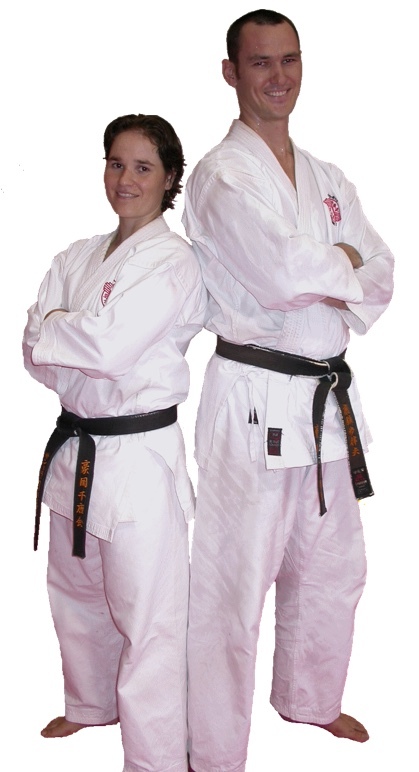 Martin & Sandra here, co-founders and owners of Sunshine Coast Karate (established 2000). We began our martial arts journey as children (Martin started in 1984 at 8 years of age, Sandra started in 1990 at 12 years of age). We've been going for a few years now, and for us, karate has become a way of life. And now we get to share that with you, a journey of self discovery, family, community, and contribution. 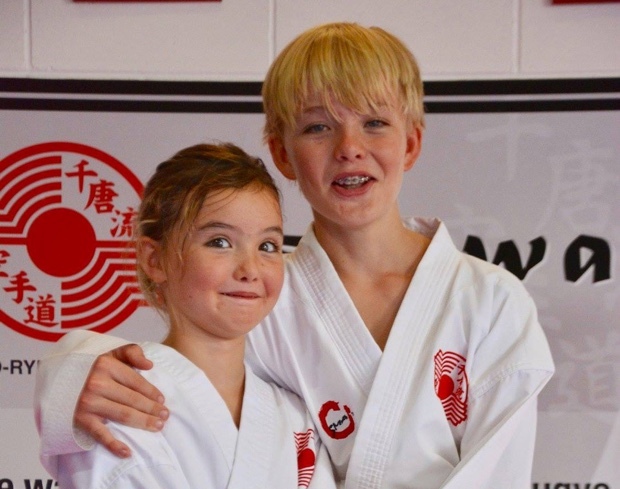 It was our goal very early on in our training career to establish a dojo community that could energise, support, inspire and empower individuals and families. There is nothing more satisfying than helping people learn, grow and position themselves to overcome limiting thoughts, habits and beliefs and become a greater version of themselves. The study of Chito-Ryu Karate-do is the perfect pursuit to bring about positive change in your life whilst also giving you a great variety of areas to explore and test your skills. Underlying your basic martial arts training, you'll also notice an ongoing awareness, understanding and nurturing of your mind and body including, meditation, personal development, basic postural training, breathing, strengthening, core development, flexibility, balance, co-ordination and more. For those of you with the desire to unlock even greater power of the mind and body to further enhance the effectiveness and efficiency of your technique, you are in the right place. This is especially important for smaller frame people who need to move beyond relying purely on physical power for self protection. If you follow our step by step process, in time, you will move beyond your physical limits and discover an internal power which will amaze you and keep you eager to take your studies even deeper. We are so very excited to have you visit our website today. Thank you. Take a moment to browse our programs, take advantage of our exclusive web offer and we'll see you in the dojo soon. Let's grow together!!! 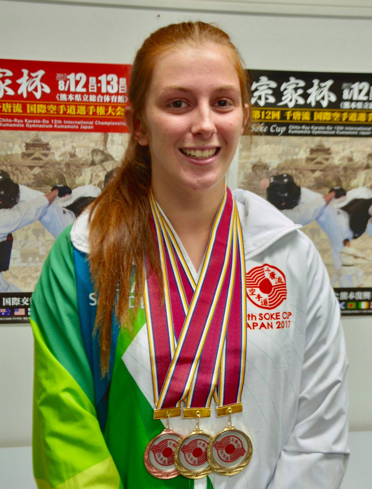 The practice of martial arts is kind of like a "miracle formula" for all of us, especially teenagers. Many of our young adults in the dojo that have already navigated through their teenager years speak of the inner strength, courage, commitment, confidence and focus that pulled them through some of their toughest times. Many of our teenagers in the dojo have grown to appreciate the importance of hard physical training to help create a balanced lifestyle whilst they are still growing into the best possible adult version of themselves. My 7 year old son and I joined about 10 months ago and my only regret is not having joined earlier. 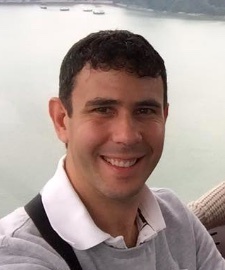 A couple of months prior to joining, my doctor advised that I was a prime candidate for type 2 diabetes and cardiac complications... needless to say, something had to be done. I'm now 15kg lighter, much much fitter, healthier and well on my way to my weight loss goal of 25kg. 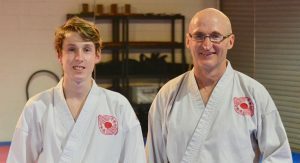 Yes, I've had to do the hard work but Sunshine Coast Karate from the very beginning have provided a supportive, well structured, no-nonsense environment and training program that has given me the opportunity to be where I am today while learning a traditional style of karate. My son loves the training and has benefited in countless ways. 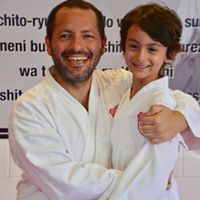 Parents are encouraged to train alongside their little ones which is what I do on top of my own classes, giving my son and me special bonding time doing something we both love. As soon as my daughter is old enough she will be along for the free trial as I'm sure she will love the fun classes too. The instructors are excellent in every way possible and I could easily rave on about how professional, friendly, dedicated and passionate they are about their student's and their own karate journey. Regardless of your age or fitness level, I highly recommend Sunshine Coast Karate. 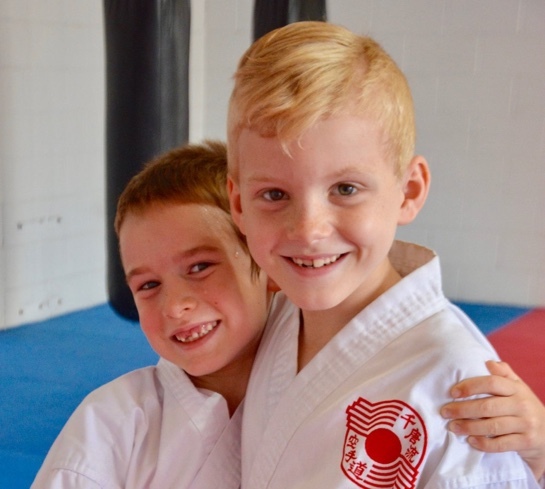 We are beyond happy with the expertise that the entire team and family at Sunshine Coat Karate provides in each and every lesson. My daughter and I thoroughly enjoy our sessions and the motivation, determination and insightful was that my daughter exhibits due to her sessions is astounding. I highly recommend to any family looking to join a fantastic extra curricular activity for their child or as a family. Recurring bookings can only be done by dojo staff. Submit changes to dojo staff using this web form. You can make one off changes yourself using Zen Planner. If you are having technology troubles with any of the member resources or anything else on this website, please use this link to contact us.